Appellate practice is an important part of our litigation forte. There are two particular aspects of appellate court litigation that sets this firm apart from the unexpectedly encountered appellate morass. First, we establish a meticulous record in the lower court and go to considerable lengths to preserve our clients’ issues on the record. Thus, when an appeal is called for, the perfected record is full of our clients’ issues and ready for adjudication on the merits. Second, we are well-versed in appellate practice rules and procedures, and wield that knowledge in the best interests of our clients. Mr. Sewell continuously distinguishes himself as a top litigation attorney. 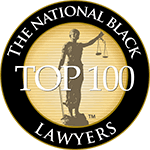 He has been selected by New York Super Lawyers as a “Rising Star”. He is recognized as “Superb” and a “Top Litigation Attorney” by the lawyer-rating service Avvo. At this firm, we are committed to counseling start-up and established businesses on lawful practices as well as providing litigation representation. We offer a full range of transactional services that encompasses business entity formation, IRS elections, governmental agency registrations, intellectual property protection, non-disclosure and non-compete agreements, operating agreements, trade secret protection, licensing, and an extensive list of other services. Your business is our business. We work with you to make your business thrive. The firm structures contracts in various areas of law that best represent the interest of its clients. Copious detail is given to protecting client interests as well as the implementation of forward-thinking analysis to address potential issues down the road before such issues have the chance to hamper contracts. How do we manage to accomplish this feat? Here, in addition to thorough contract analsyis, the attorneys have litigated contracts in both federal and state court, so we know the issues to look out for that are germane to your contractual needs. Our focus is you and delivering consistent, successful results. Intellectual property (patent, trademark, copyright, unfair competition, and trade secrets) is a foundational practice area for this firm and its attorneys. With respect to copyright law, the firm’s attorneys have authored copyright publications, registered copyrights, and have copyright litigation experience. Mr. Sewell graduated from the Benjamin N. Cardozo School of Law with a concentration in Intellectual Property. Cardozo’s Intellectual Property & Information Law Program is the fifth ranked IP program in the country, and the top ranked IP program in the Northeast. Mr. Sewell continuously distinguishes himself as a top intellectual property attorney. 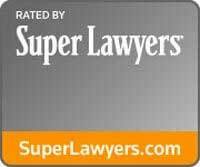 He is recognized as “Superb” and a “Top Intellectual Property Attorney” by the lawyer-rating service Avvo. Furthermore, Attorney Sewell is Chair of the Brooklyn Bar Association Intellectual Property Committee. The firm is well-versed with the Food, Drug, and Cosmetic Act and other Food and Drug Administration (FDA) rules. We assist small and large institutional clients alike in their FDA product regulatory and advertising compliance goals. Not only has Mr. Sewell worked with industry leaders, but he is also a published author in this area of law. The firm litigates foreclosure matters, represents clients in foreclosure alternatives, as well as publishes on foreclosure matters. Attorney Sewell has several years of experience providing counsel and litigation representation to real estate entities and individuals. The firm recognizes the systemic real estate crisis and its affects on both investors and individuals, and is well-prepared to continue to assist clients with the crisis’ persistent havoc that affects the millions of people involved. Mr. Sewell continuously distinguishes himself as a top foreclosure attorney. He is recognized as “Superb” and a “Top Foreclosure Attorney” by the lawyer-rating service Avvo. 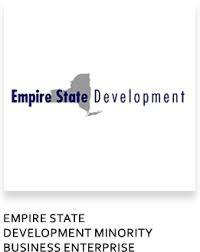 Furthermore, Attorney Sewell is Vice-Chair of the Brooklyn Bar Association Real Property Committee. Healthcare is a topic that is germane to every individual. None are exempt from the affects of policy and legal decisions in this arena. Fortunately, this firm has a diversified and qualified collection of attorneys that are well-equipped to navigate the complex healthcare waters. The majority of the firm’s attorneys, in addition to their technical backgrounds, has published medical papers and has conducted research at world-renowned medical institutions such as The Johns Hopkins University School of Medicine and Massachusetts General Hospital. Moreover, they possess rigorous, graduate, scientific degrees from prestigious institutions such as Columbia University and The Johns Hopkins University. We also have significant litigation experience relating to the pharmaceutical industry. This accumulation of science and healthcare expertise, when complemented with robust legal experience, is a winning combination. At the LAW FIRM OF DAYREL SEWELL, PLLC we remain federal and state court trial-ready. Great consideration, directed energy, and several years of litigation expertise are devoted to obtaining successful client results. It is our philosophy that when litigation is best to protect and enforce the rights of our clients, that painstaking attention to detail and well-thought litigation strategy—coupled with experienced litigators—are the best service to clients. We work closely with clients to emphasize the merits of their case, so that the best case can be made to the court. In addition to full-scale litigation, the firm implements an array of strategies for clients including, but not limited to, arbitration, mediation, and settlement negotiations. Whichever route is decided upon, it is done so at the best interest of our clients at all times. Mr. Sewell continuously distinguishes himself as a top litigation attorney. He is recognized as “Superb” and a “Top Litigation Attorney” by the lawyer-rating service Avvo. All of the attorneys at this firm, in addition to receiving their law licenses, have outstanding technical and scientific expertise from leading academic and scientific institutions. Moreover, each attorney has successfully passed the arduous United States Patent and Trademark Office Patent Bar examination and is a registered patent attorney. This is no small accomplishment. A small percentage of attorneys possess these remarkable qualifications, let alone are able to even qualify to sit for the Patent Bar. More laudatory, is the fact that the majority of the firm’s attorneys possess Big Firm experience and advanced degrees in addition to their Juris Doctor degrees. In addition to publishing and presenting on scientific and intellectual property topics, our attorneys have professional experience in the science and medical community. The exquisite combination of law and science, at a high level, requires a talented mind and a dedicated individual. The firm is proud of its members’ accomplishments and more pleased to offer these outstanding attorneys to its clients. The firm provides full-service patent prosecution and litigation services to its clients. We invite you to enjoy patent practice at its best. The LAW FIRM OF DAYREL SEWELL, PLLC is well-versed and well-experienced in representing clients in the special combination of transactional as well as litigation real estate matters. Some examples of successful litigation involve commercial litigation, HPD and ECB disputes, mixed-use property issues, and breaches of contract. Some examples of successful transactions involve closings, broker services, property conveyances, property/water tax lien disputes, title searches, and ACRIS recordings. 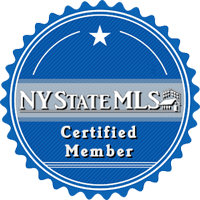 Moreover, Attorney Sewell is Vice-Chair of the Brooklyn Bar Association Real Property Committee and publishes on real property matters. The firm is committed to improving the quality of services to real estate consumers and the legal community. The firm demonstrates complex securities litigation expertise in, amongst other things, the securitization process, residential mortgage-backed securities (RMBS), underwriting standards, material misleading statements, and exposing fraud. Securities investors are encouraged to contact the firm to discuss perceived securities violations. We look forward to working with you. We are experienced in successfully litigating tort claims in federal and state courts. For our clients, our goal is two-fold: 1) garnering compensation to make each client whole; and, 2) to deter tortfeasors from future malfeasance. Intellectual property (patent, trademark, copyright, unfair competition, and trade secrets) is a foundational practice area for this firm and its attorneys. With respect to trademark law, the firm’s attorneys have represented trademark owners in federal court litigation, counseled clients, and registered trademarks. We have significant trust litigation experience with an emphasis on loan trusts, mortgages, and securitization. Here, our clients take comfort in the fact that our knowledge of—and skills within—Estates, Powers and Trusts law is tried and true. 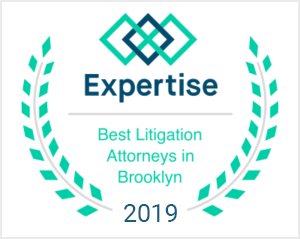 Welcome to the preeminent Brooklyn law firm in the service of others that delivers successful outcomes via legal excellence and a profound commitment to its clients. * How did you locate our site?